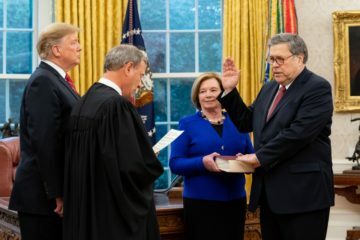 Acting Attorney General Whitaker was not Senate-confirmed when he replaced Jeff Sessions, and never faced questions about his finances. Therefore, Whitaker’s financial disclosure — which was revised 12 times in the two weeks between when it was requested and it was released — is one of the only public windows into his business ties and potential conflicts. Under the Freedom of Information Act, CREW requested documents about communications with donors to Whitaker’s defunct 2014 Senate campaign to better understand his financial entanglements and Hatch Act compliance. 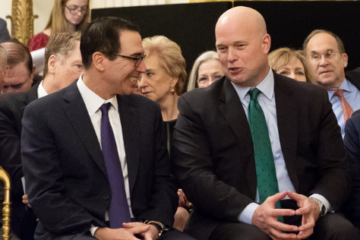 Months after joining the Department of Justice (DOJ) in 2017, Whitaker’s 2014 Senate campaign reportedly received $8,880 in donations from four donors. The four donors are Gray Kirke, a casino owner who donated $2,600; Mr. Kirke’s business partner, Michael J. Richards, who donated the same amount; Cameron Sutton, who had served on the board of the Heritage Foundation; and Leon Shearer. The Office of Special Counsel is investigating whether Whitaker violated the Hatch Act by receiving these contributions, and engaged in illegal political activity as a federal employee. CREW requested all communications between Whitaker and these four donors since he joined the DOJ in September, 2017. The requested records will shed light on Whitaker’s relationship with these donors and whether he solicited the contributions intentionally, regardless of the requirements of the Hatch Act that come with employment by the federal government. 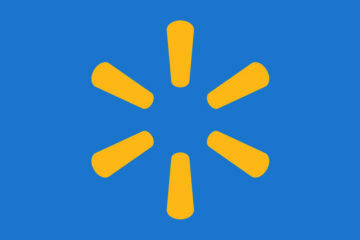 CREW requests all records concerning or reflecting any recusal by Associate Attorney General Rachel Brand from any DOJ matters while she was in talks with Walmart.